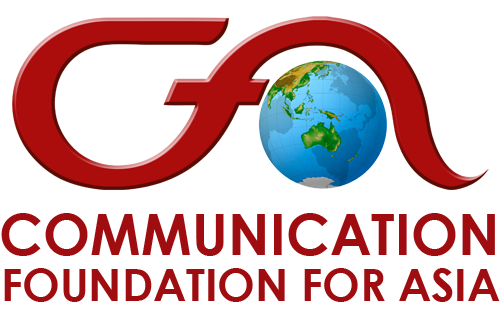 It seems technology is in the blood of millennials as they can easily adapt to the fast-paced development of information and communication technology that we experience today. ‘Everything is instant’-that’s how Generation Y live. And with that, they tend to multi-task and have a very short attention span. This is why they find traditional evangelization boring which in turn result in the declining number of participating youth in the community. The Catholic Church, on the other hand, struggles to keep pace with the changing times and to adapt the worldview of millennials. As a Catholic organization that serves God through media, we wanted to share with Catholic Church workers the different approaches with which to catch millennials’ attention and interests. Since mobile android phones are the most accessible and most used gadgets today, we include mobile phones as medium for evangelizing young people. 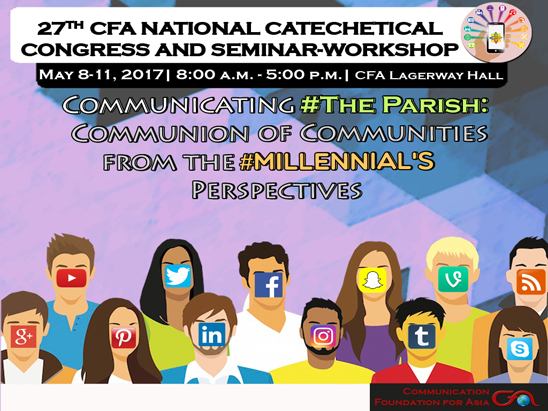 In this light, the Communication Foundation for Asia conducted its 27th Annual National Catechetical Congress Seminar-Workshop on May 8-11, 2017 with the theme, “Communicating The #Parish: Communion of Communities from the #Millennial’s Perspective”. 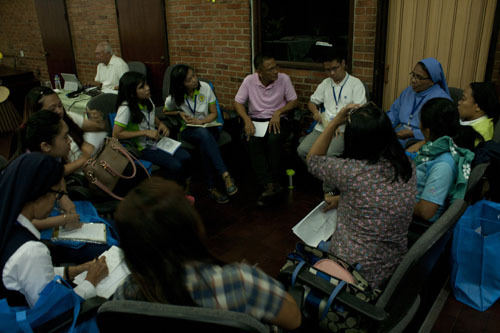 The seminar-workshop’s goal is to introduce new communication technology and skills to catechists that could serve as platforms for the transmission of the theme to the millennial generation and for them to be able to come up with millennial-friendly catechetical modules on the “Parish” for “blended-learning”. Fr. 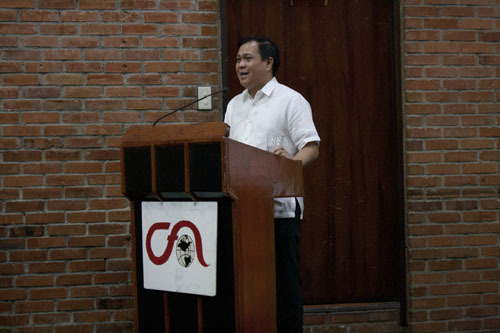 Jerome Secillano, executive secretary of the CBCP, was the keynote speaker of this year’s catechetical congress. In his talk, he discussed the role of the parish to the community- to be inclusive for all even to those who belong to the marginalized sector. 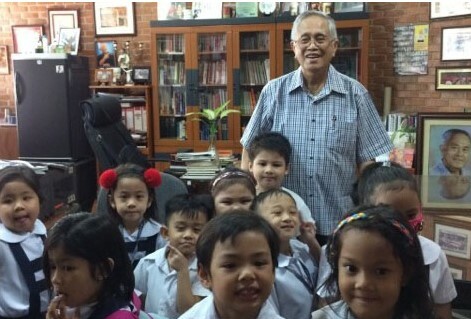 He also discussed the importance of helping the young generation to grow in their faith, as there is the observation that young people nowadays tend to be self-centered and are thus prone to self-destruction. It is a challenge that the Church should face- to be salt of the earth and the light of the world by leading the millennials to the right path.